This is a 60" white interior umbrella, with black backing. Use this size for a full-length portrait of 1 -2 people, or a still set up of 5 -6 small objects. Umbrella - White-60" is rated 5.0 out of 5 by 1. 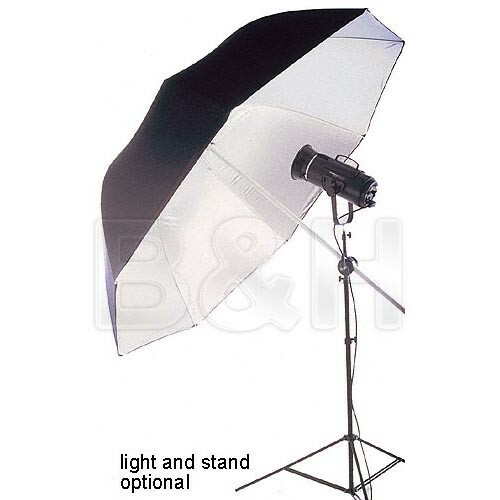 Rated 5 out of 5 by RonNatural from Excellent Umbrella I use this for video interviews and have two of them. They diffuse the light very well and there have been no problems thus far. Recommended.